Many people will recognize The General Automobile Insurance Services, Inc. simply by “The General” as it has come to be known and also from its popular series of television commercials. A popular television commercial slogan of the company is “For a great low rate you can get online, go to The General and save some time!” Three Telly Awards were presented to The General in 2012 in the animation category. In May of 2016, Shaquille O'Neal became the first athletic spokesperson for The General. Shaquille O'neal was a customer of The General while attending and playing basketball for LSU In Baton Rouge, Louisiana. The company has its headquarters in Nashville, Tennessee and has been selling auto insurance since 1963 when it was known as Permanent General Agency. The name later changed to Permanent General Assurance Corporation (PGAC). In 2012, The General Automobile Insurance Services, Inc., a subsidiary company of PGC Holdings, was acquired by American Family Insurance. Auto insurance policies are sold directly through its website although the company does have regional offices in Louisiana, Arizona and Ohio. These offices offer customer service and claims assistance. Several physical store locations are available to customers in Louisiana. The General launched a mobile insurance application in April 2011. The General Auto Insurance Company, Inc.
Insurance rating organization, A.M. Best, gives The General Auto Insurance Company an “A-“ Excellent rating. While this is not the best possible rating, it is still very strong. Complaints about customer service and problems with billing, claims and cancellations can be found about The General Auto Insurance Company on online customer review sites where customers can rate products and services. While there are some negative reviews, keep in mind that people who have a negative experience are more likely to post about it than customers who are satisfied with products and services. The General Auto Insurance Company does not have a Better Business Bureau rating. However, the company did have an “A+” BBB rating under its previous name, Permanent General Companies, Inc. The General Auto Insurance Company writes auto insurance exclusively. Its auto insurance policy is known for accepting high risk drivers and may offer them more affordable rates than they would receive with a standard or preferred auto insurance carrier. The auto policy offers bodily injury liability, property damage liability, comprehensive, collision, medical payments and uninsured motorist coverage (coverage options for uninsured motorist depends on state of residence.) SR-22 insurance is available for drivers who have to file a financial responsibility filing with their state of residence showing proof of insurance coverage. You can find out more about SR-22 insurance through The General here. For The General customer who may also be interested in term life insurance, you can find more information here. Term life insurance offered by The General is underwritten by American Family and administered by Homesite®. To file a claim with The General, you can call 1.800.280.1466 (select option #3) 24 hours a day, 7 days a week. You can find out more information about reporting claims here. The General offers resources to its customers including insurance resource sites, automobile recall information and car safety sites. The General Auto Insurance Company is a non-standard auto insurance carrier. If you’ve had a lapse in your auto insurance coverage, have less than perfect credit, are a high risk driver or need SR-22 insurance; The General may offer you insurance when others won’t or at a more affordable rate. For drivers with good records, the rates are substantially higher. 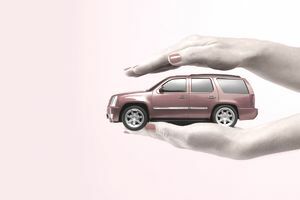 One of the good points about The General auto insurance policy is that you are often able to pay your premium payments in affordable monthly installments with low down-payment options. To learn more about auto insurance from The General, to receive a quote or to purchase a policy; you can visit The General Auto Insurance Company website or call 1-866-519-7422. You can also use the contact us feature on the website to ask any specific questions.